Turkish cinema is going places; its TV industry has seen a boom in recent years, with a growing number of international viewers, and Turkish films have earned their fans across the world. However, Turkey, specifically Istanbul, has been a favoured location for many Hollywood and international films. 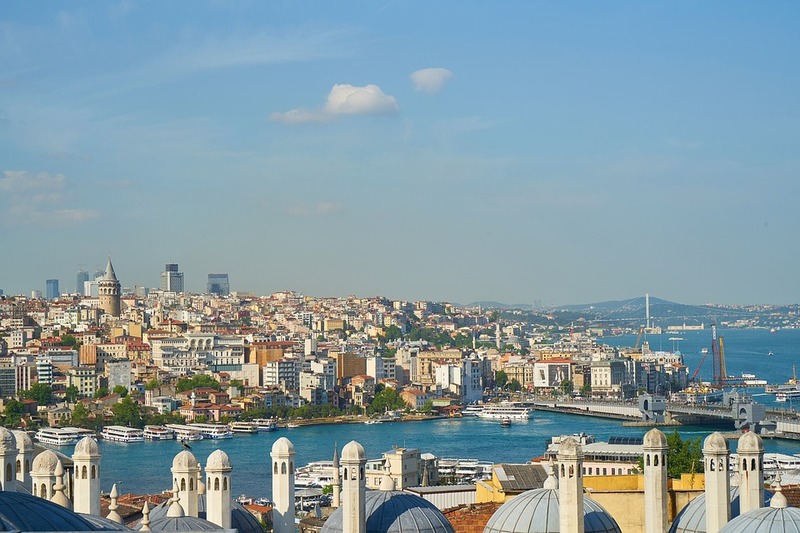 The films on our list have mostly been shot in Istanbul, although there are many scenes set in other parts of the country. Take a look at these fabulous movies, some classic and some contemporary, set in this fantastic and beautiful country. Released in 2006, The Net 2.0 is a sequel to the 1995 movie The Net. The movie is set in Istanbul, Turkey, where a computer systems analyst takes up a job only to get slapped with a robbery and murder charge. The film is your typical thriller but, alas, was not well received. The entire film was shot in Istanbul and is known to be the first American film to have done so. A number of Turkish actors were hired for smaller parts in the film. The second bond film ever made, From Russia with Love was released in 1963 and was a worldwide success. The plot follows James Bond’s deployment to Turkey, where he helps with the defection of a female Soviet consulate employee. Much of the film was shot in Turkey and a lot of famous landmarks can be seen throughout the film, capturing the city as it was in the 60s. Bond is played by Sean Connery in the film, and the crowds flocked to see him at work, famously delaying the shooting. Based on Agatha Christie’s book of the same name, Murder on the Orient Express was adapted for the big screen for the first time in 1974. The film follows Hercules Poirot, played by Albert Finney, who gets on the Orient Express from Istanbul and is confronted with the murder of a fellow passenger en route when the train stops. The film was mostly shot in Turkey and France. Though Christie’s books have been filmed numerous times, this was the only one with which she ever expressed any satisfaction. The 2017 adaptation, however, went a different route and was mostly filmed in England. Released in 1964, Topkapi is an excellent example of a typical thriller film of its era. The plot of the film centres around a woman who gets fascinated with the treasures kept at the Topkapi palace and devises a plan to steal the dagger of Sultan Mahmud I. The film was mostly shot on location in Turkey and parts of it were shot in the Boulogne-Billancourt Studios in France. The gorgeous Topkapi palace features a lot in this one. Starring Melina Mercouri and Peter Ustinov, this film was a huge hit internationally and won Ustinov an Oscar. Another classic shot in Turkey is Istanbul, released in 1957, and starring Errol Flynn and Cornell Borchers. The plot centres around James Brennan, an American pilot who goes to Turkey and gets arrested for diamond smuggling. The story is told in flashbacks and could be classified as a crime adventure. The film was shot on location in Istanbul and other parts of Turkey, with the action filmed mostly in the country as well. It was critically well-received and the song ‘When I Fall in Love’, sung by Nat King Cole, is considered a masterpiece. Don’t forget to book your Turkish airport transfer with Holiday Transfers when you visit!